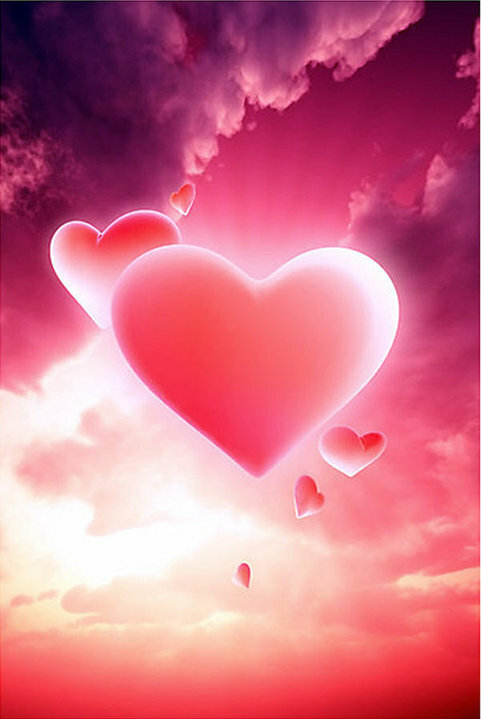 Love is in the air ……………………when we stay in love with life and fall out of fear and the fear vibration. We always have a choice in every situation between choosing love or fear, with relationships and with ourselves and with all the news and information we listen to. We can choose the love vibration. When we really start to love ourselves and embrace the love of life, our worlds change. It’s never about someone loving or leaving us it’s always about how we love ourselves. People come and go in our lives all the time. We must just learn to align ourselves to the middle of the road and know that after one person leaves another comes along. It’s all about staying open and not letting the pain of any situation or anyone affect us too deeply. Everything is just a thought and if you keep mulling over lost loves or lost things you never really get to experience being in the now. That’s all we ever really have, the rest is just the story we tell ourselves about the past or the future. It doesn’t exist, except in our imaginations. We all hold on to stories, it’s what makes us feel safe it’s the way we justify our realities. It’s the ability to stay open hearted and to let love back in that moves us on, we can do this by keeping our hearts open and receptive. Sure we feel the pain, the energy of our hearts icing over but we have a choice to close ourselves down or carry on. We have a choice in every moment, with everyone and every situation to choose love. When we love we open up possibilities and attract to us great miracles which change our vibrational frequency. We change our whole being and our energy body. We are at our very core just energy. If you look deep into every atom, every molecule of our being we are all just energy. We can choose in any moment to listen to fear or turn off the T.V and the negative news and people and surround ourselves with positivity. We can fill our souls and minds with positive information. That doesn’t mean we have to let go of all the people who annoy or displease us or give up our work, but it can be just by re- framing how we perceive things that we change our realities. We can choose to have the fearful approach and focus on negative things or we can choose to see the loving positive side to life and everything that happens to us. Life is always yin and yang and so called percieved negative or fearful situations always have a positive side if we look carefully. Love strengthens and nurtures it never judges and only encourages and motivates, and permeates deep and isn’t about money, status or power. It never criticises or suffocates but guides and nurtures us. Love gives us courage from the inside out it rides through fear and doubts, it strengthens and heals our hearts but it starts with us loving ourselves with all our imperfections and faults. If we always remember to use the loving voice and know that we deserve to love and be loved in return. It’s never about another person they just reflect our inner love for ourselves..
Love isn’t about control or manipulation love is about seeing the good in someone else and loving them with all their imperfections as well. Everyone is flawed we all are, we are all human it’s when we get to love someone with their flaws that true love starts. When we get to see the love in everyone we meet our whole world opens up. Are you a love giver or a fear giver ? Are your decisions with people and in business based on love or fear? Do you gain your power by loving those around you or do you do it by putting fear into people ? Do you operate with kindness and love in every way possible ? We have choices in any given moment to change our thinking and beliefs. It is never about the other person it’s always about the signals we put out. When we notice all we love about the people around us our world changes. That’s how it all works. Remember as a child you loved the people who made you feel good and told you were special and who said they loved you. We can always operate from this position if we choose to as adults. If we make gratitude lists and focus on the things that we love and practice random acts of love even just smiling, our worlds change. Research has proved that even just smiling for 20 minutes a day can change your internal state and laughing also brings us into the love vibration. Smiling at other people will even change another person. Think about how you feel when someone smiles at you. We can change our vibrational fields and whole auras by focusing on the things we love and thinking of things that makes us feel great. That’s the key, our thoughts are just thoughts they aren’t our realities. Always choose what makes you feel good, choose the loving thoughts. Not thing is healed by fear only sending love helps the world and ourselves. Choose your loving voice. You are worthy of love and having love. Put your hands on your heart, be real true and sincere and authentic all the time and with everyone. Be true to yourself. You are worthy of receiving love from everyone. Breathe in love with every breath and breath out fear. Start by breathing love into yourself it always starts there. I like what you say and how you say it. Sincerely!